Take advantage of exciting deals and great offers every month! Get in touch with our expert technicians and service specialists today! * While every reasonable effort is made to ensure the accuracy of this information, we are not responsible for any errors or omissions contained on these pages. Please verify any information in question with a Northern Nissan sales representative. Information being displayed may not match the exact vehicle being displayed. Genuine Nissan parts keep your vehicle running in top condition. No job is too big or too small for our trained service technicians. Earn points and exclusive service advantages every day. 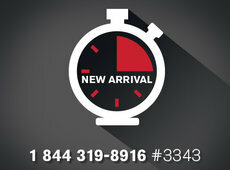 Book your winter tire installation now to avoid delay! Welcome to Northern Nissan, your home for quality Nissan vehicles in the greater Sudbury area. If you’re looking for a vehicle that combines, quality, safety and reliability at a great price in Sudbury, visit Northern Nissan today! We boast a wide inventory of quality new vehicles from Nissan, one of the fastest-growing automakers in Canada. From the elegant Sentra to the spacious and practical Altima and the subcompact Micra – Canada’s least-expensive entry-level vehicle – Nissan’s cars are more popular than ever for a reason! 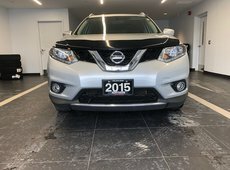 Plus, for those who value space and power on the road, Nissan’s wide selection of rugged and road-ready crossovers and utility vehicles like the Murano, Juke and Rogue will get you anywhere you need to go in style and comfort. We also offer an impressive selection of quality and affordable pre-owned vehicles from Nissan, as well as many other trusted auto brands like GM, Ford, Toyota, Honda, Chevrolet, Mitsubishi and more. And with our selection of certified pre-owned Nissan vehicles, you’re guaranteed to find a quality new-to-you vehicle that's been inspected and repaired by our experts and backed by an excellent warranty. At Northern Nissan in Sudbury, you’ll never have to compromise safety or performance for price when buying a used vehicle – it’s our guarantee! When it comes time to pay for your vehicle, Northern Nissan also offers several financing and leasing options that make it easier than ever to own a quality vehicle. We offer flexible and low-interest financing and leasing packages, and our financial advisors will work with you to find the best option for you and your budget. And when it comes time to have your vehicle serviced or repaired, you can trust Northern Nissan’s service department to get the job done right the first time. With our well-trained Nissan-certified staff and state-of-the-art service bays, we’ll handle anything from an oil change to a complete engine overhaul with ease. And with our large collection of genuine Nissan parts and accessories, we’ll make sure that your new or pre-owned Nissan vehicle runs the way it was intended to! What are you waiting for? Visit Northern Nissan today at 687 Kingsway in Sudbury, Ontario, and see for yourself the difference that quality makes! To book your test drive or learn more about any one of our services, simply give us a call at 1 844 319-8915, or use our online contact form. We look forward to serving you!